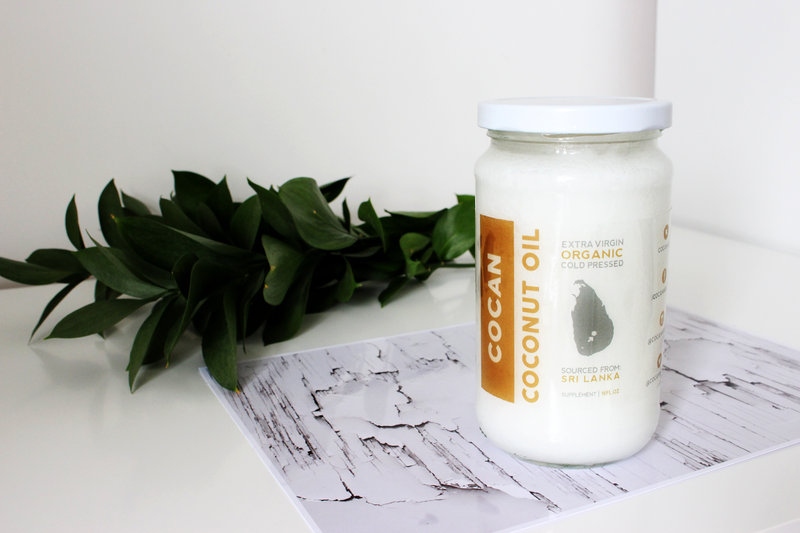 I recently discovered Coconut Oil when I was sent this big jar from Cocan, I found that there is so many different ways you can use it. Whether it's in your diet, on your hair or on your face. It's so good for you! I decided to pick out and show you some Beauty uses that I have tried. Makeup Remover - I use the oil specifically on my eyelashes. No waterproof mascara will get past the coconut oil! It makes it extremely easy to remove the product and also moisturises the eyelashes so it doesn't damage them! Taming Frizz - Because it is a oil it repels water, making it the best product to tame frizz. Simply just put it on frizzy hair to smooth it out. But don't go over the top - you don't want greasy hair! On Your Nails - Coconut Oil makes your nails stronger, healthier and more moisturised. I love using it after nail polish remover because that really drys them out. It can also be used to help cracked cuticles and help your manicure last longer. Under-eye cream - It is light enough for the most delicate part of your skin and can be used to reduce fine lines and those pesky bags as it hydrates the under-eye. Scrub/Exfoliator - Mix it with brown sugar and create a dupe of the Lush Lip Scrub! Teeth Whitener - You can put a spoon full in your mouth and swirl it around for 5 minutes or mix it with baking soda and use it as a tooth paste to make your teeth shiny and bright. Which is your favorite use of the Coconut Oil? Awesome! Thanks for the tips!! It seems that coconut oil is really great. I should really try it out. I had no idea you can use coconut oil to clean make up brushes and whiten teeth. I've been meaning to buy a new brush cleaner for ages so maybe I should pick up some coconut oil and see how it performs. This is such a great post! I use coconut oil to cook but I never knew there were so many beauty uses for it too, thank you so much for sharing! I can't believe how versatile is! Definitely need to get me some!